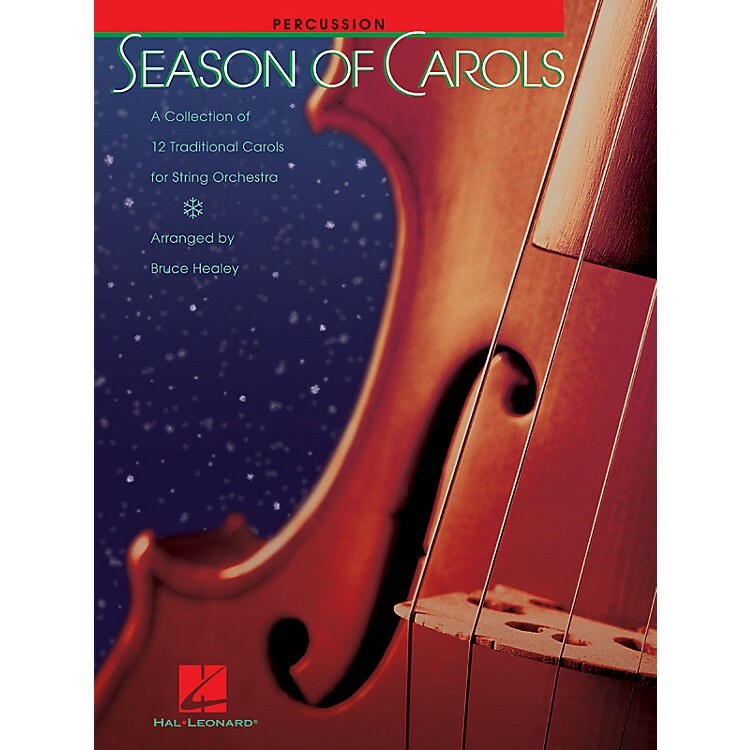 A collection of 12 traditional carols for developing string orchestra (Grade 2) from master arranger Bruce Healey. This group of delightful arrangements will become your most valuable resource of holiday music for years to come. Each carol is given a fresh, creative treatment, yet is expertly arranged with younger players in mind. May be accompanied by piano or harp, and percussion. Songs include: Away in a Manger · We Wish You a Merry Christmas · Deck the Halls · Ding, Dong, Merrily on High · God Rest Ye Merry Gentlemen · Greensleeves · O Come All Ye Faithful · Chanukah, Oy Chanukah · O Holy Night · Pat-A-Pan · Silent Night · Three Holiday Songs (Medley including The Dreydl Song, Jingle Bells, and Joy to the World). Available for: 04490308 Conductor / $19.95 04490309 Violin 1 / $5.95 04490310 Violin 2 / $5.95 04490311 Violin 3 (Viola T.C.) / $5.95 04490312 Viola / $5.95 04490313 Cello / $5.95 04490314 String Bass / $5.95 04490315 Piano / $8.95 04490316 / Opt. Harp / $8.95 04490317 Opt. Percussion / $5.95.